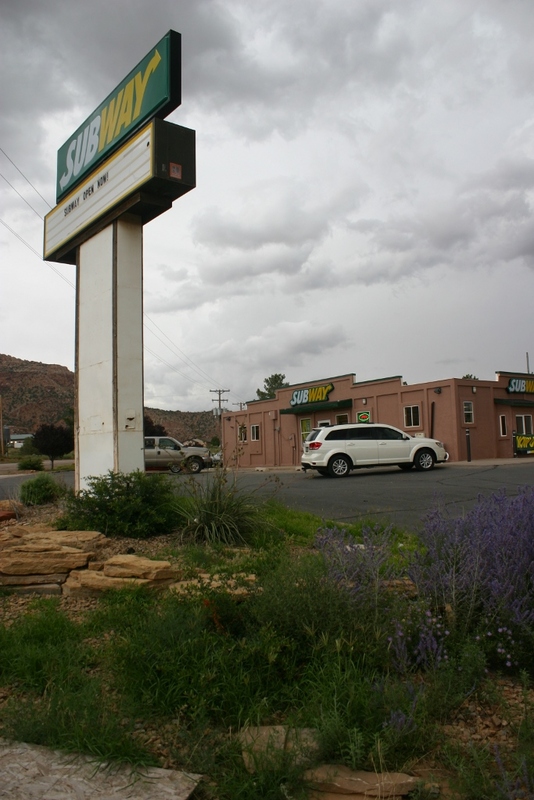 HILDALE – A sign of the changing times in the border towns of Hildale, Utah, and Colorado City, Arizona, can now be seen shining green and yellow at the corner of Utah Avenue and state Route 59 in Hildale. Anywhere else in Utah, the opening of a new Subway restaurant might not garner widespread attention – but this new Subway, which opened Monday, is located in a community long governed and predominantly populated by members of the Fundamentalist Church of Jesus Christ of Latter Day Saints – a religious group historically closed to outsiders and uncooperative with outside businesses and people not belonging to the polygamy-practicing FLDS faith. 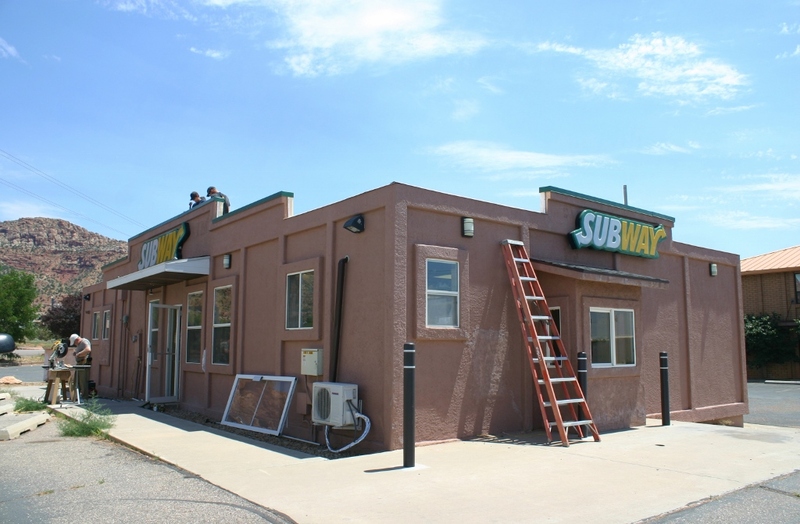 Subway is the first major national restaurant chain to ever open a location in the twin communities of Hildale and Colorado City. Only one other outside franchise has ever existed in the community: a small, privately owned Chester Fried Express that opened on FLDS property in the 1990s and later became Big Dan’s Drive Thru – a fast food restaurant that got into legal trouble in 2006 for refusing to serve non-FLDS customers. 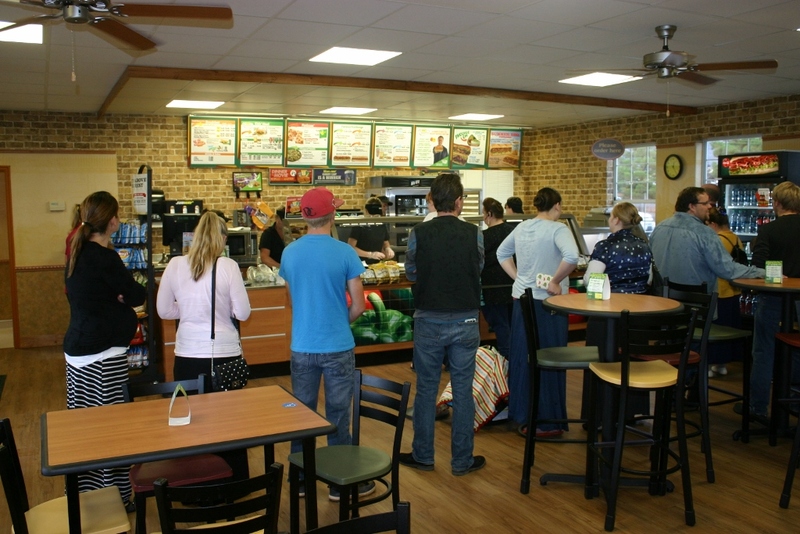 “That’s been the only franchise ever,” Leannah Jessop, manager of the new Hildale Subway, said. 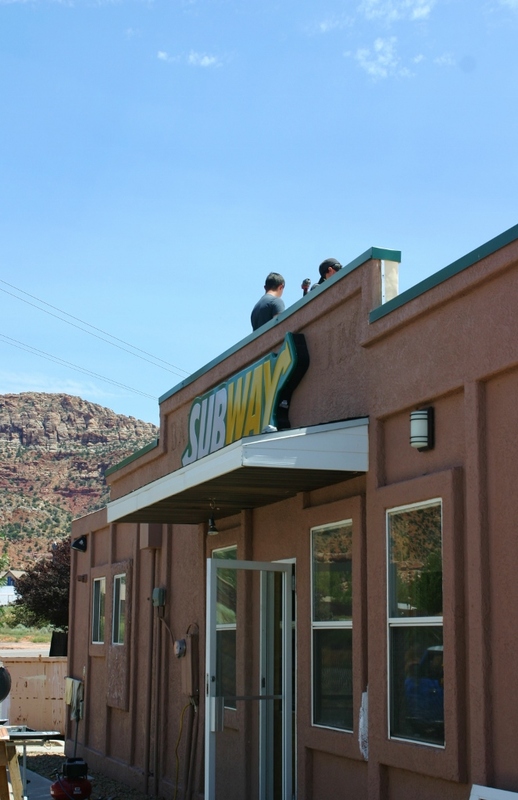 Operated by non-FLDS owners from Kanab, the new Subway is located at 1195 W. Utah Ave. in Hildale, a retail space that formerly housed Zion Nutrition, a health store that also served food and was owned by former FLDS members. Zion Nutrition closed for financial reasons, but many businesses in Colorado City and Hildale opted to close their doors earlier this year rather than begin paying rent to the state-administered United Effort Plan Trust or to outside companies that had purchased the properties the businesses resided on. Big Dan’s Drive Thru and Craigo’s Pizza were two FLDS-run restaurants that elected to fold rather than pay. “They were subject to rent. They chose not to,” Chuck Bradshaw said. “None of them had to leave,” he added. 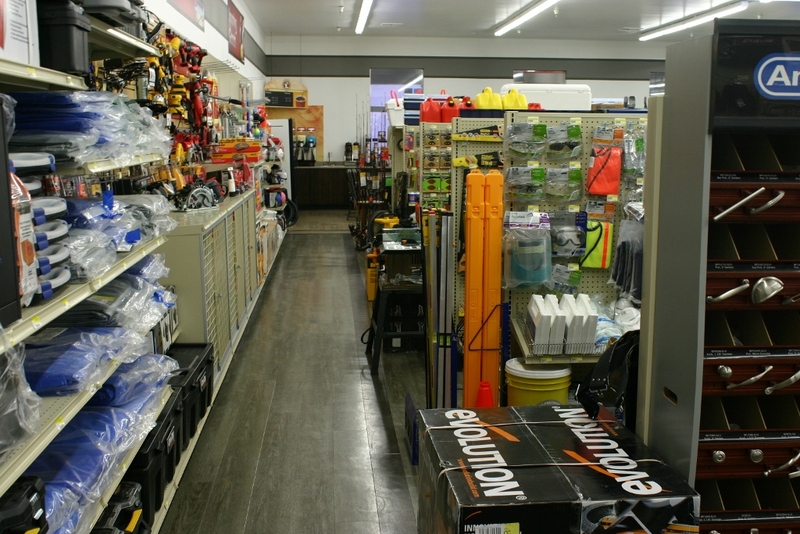 Bradshaw is the manager of Basic American Supply, a new hardware store in Colorado City that opened in July. The hardware store is located in the building that formerly housed CMC Foodtown, an FLDS-operated grocery store that was abruptly closed in 2012 – along with CMC Builders Supply around the corner – reportedly on the orders of jailed FLDS prophet Warren Jeffs. Bradshaw said Basic American Supply is leasing the building from a limited liability company that bought the block it is located on. He said new businesses moving in, like Basic American Supply and Subway, are evidence of the slow revitalization taking place in the once FLDS-dominated twin communities – and proof that change not only can happen, but will. “There’s no doubt about it,” he said. 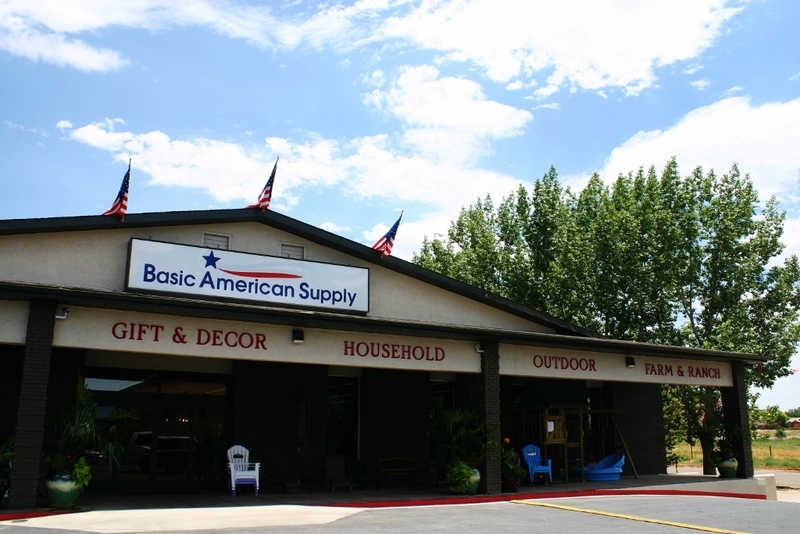 In addition to hardware, Basic American Supply carries household goods, farm equipment, lawn and garden items, animal feed, camping equipment, sporting goods, paint, electrical supplies, plumbing supplies, gifts and décor, household appliances and even personal hygiene items. The store also has a small food court where shoppers can relax and purchase snacks. 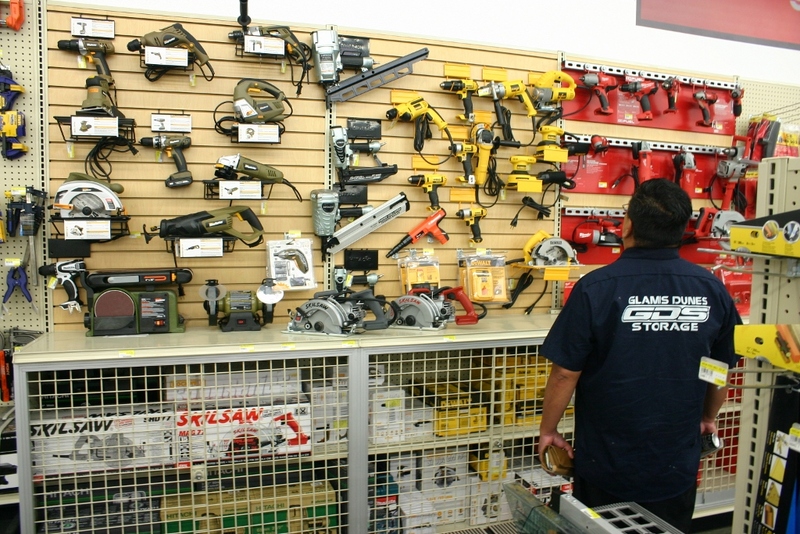 The store fills a need for members of the community and surrounding towns who have had to travel to Hurricane or Kanab in order to buy hardware items since CMC closed. Bradshaw said no FLDS members have shopped at the store yet, as far as he knows, but new businesses like Basic American Supply are essential to the survival of the community. The lawsuit Bradshaw referred to involved Ron and Jinjer Cooke, who were awarded a $5.2 million judgment earlier this year in a discrimination lawsuit against Colorado City and Hildale. The Cookes filed their suit in 2010 after the city government refused to hook up their home to municipal utilities. Bradshaw said he believes that ruling has been a catalyst for some changes in how the city government deals with the public. Kresta Blomquist and her husband, Kevin Blomquist, of Kanab, own the new Hildale Subway. Kresta Blomquist said despite some initial trepidation about opening a business in Hildale, she and her husband have had a positive experience working with the city. “They’ve been very, very open and accommodating,” she said. 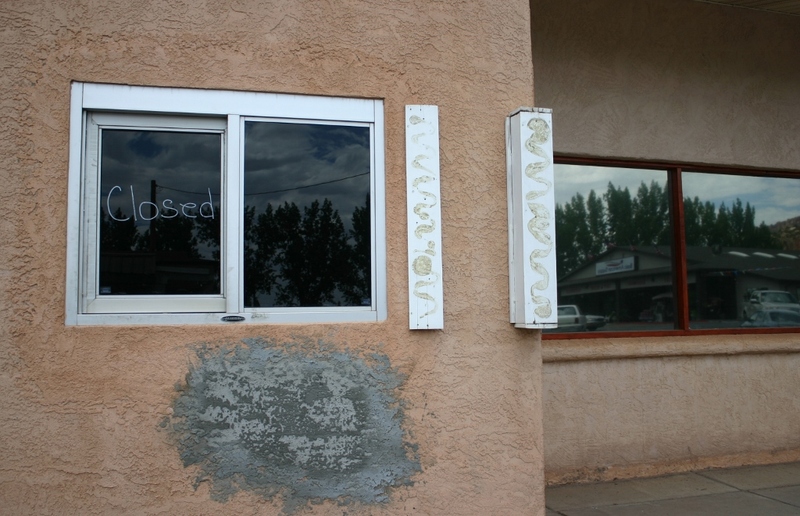 Blomquist and her husband also own a Subway restaurant in Kanab. Restaurants and hardware stores aren’t the only new developments in the Short Creek community, which is a nickname given to the twin cities by local residents. Willie Jessop, former FLDS member and former bodyguard for Warren Jeffs, recently opened a bed and breakfast in a residence originally built as a home for Jeffs. Earlier this month, the Washington County School District opened Water Canyon School in Hildale, a new K-12 school that also houses a preschool. 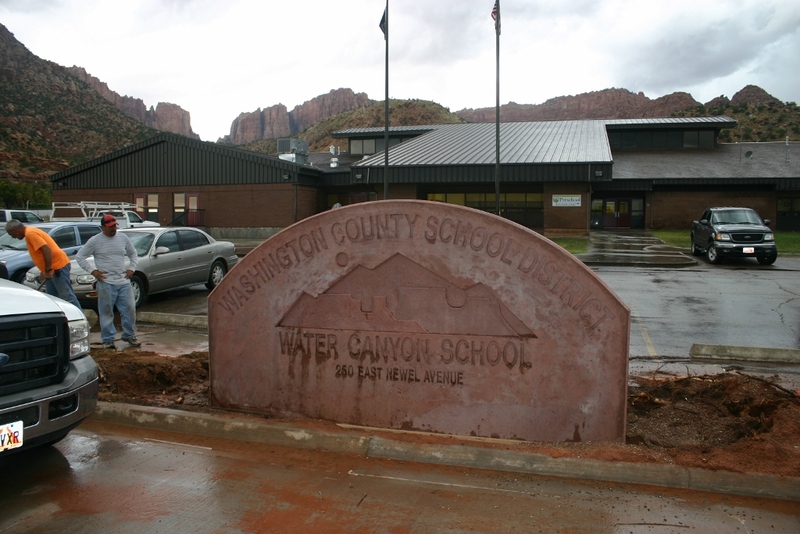 Water Canyon School is located in the building that once housed Phelps Elementary School, which was closed by the Washington County School District in 2001 after Warren Jeffs ordered FLDS families to pull their children out of the school in 2000, resulting in severely dwindled enrollment numbers. Water Canyon School opened Aug. 11 along with the rest of the schools in the district. 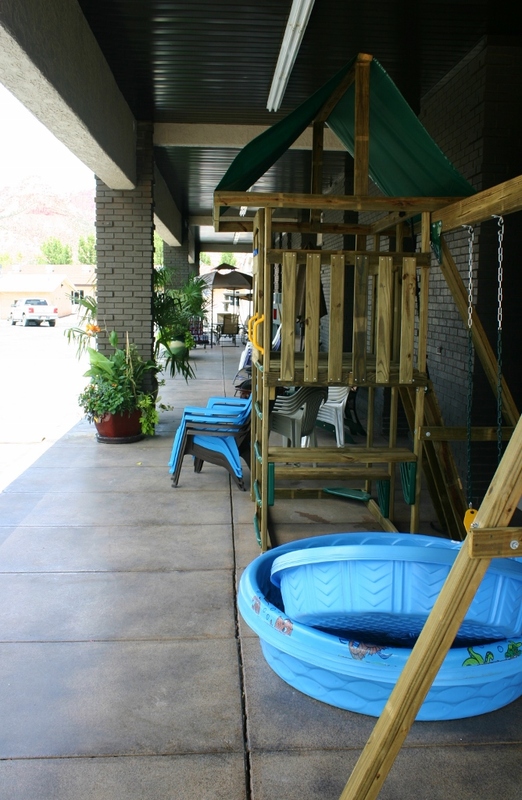 “This was a Hildale community decision,” Water Canyon School Principal Darin Thomas said. “Basically, the citizens of Hildale requested it of the county,” he said. Students residing in Hildale and Apple Valley are now attending Water Canyon School. 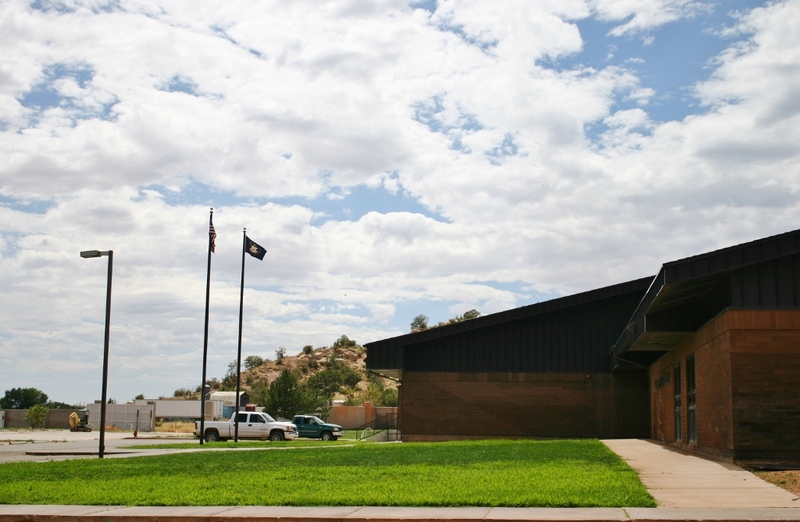 Students on the Arizona side of the border will continue attending El Capitan in Colorado City, as they live in another state and are not eligible to attend school in Washington County. Only the Utah students who were going to be seniors this school year had the option of choosing to stay at El Capitan rather than going to Water Canyon School, Thomas said. Thomas said about half of the school’s employees live locally and the other half commute. He himself commutes from Hurricane, where he is a current member of the Hurricane City Council. He formerly taught at Three Falls Elementary School. When it comes to the religious history of his school’s town, Thomas said he isn’t concerned about or focused on that. “We want people to come to our school – I don’t care what their background is,” he said. Ed. note: Kanab incorrectly written in place of Fredonia in original publishing. Zion Nutrition was owned by former FLDS members. What’s on the children’s menu? You, good sir, have made me laugh out like a maniac at work. I applaud you. Polygamist men already are sandwiched between their spread of polygamist wives who make their sammiches. The better the sammiches, the more worthy they are. Subway in the polygamist towns should be a term for a secret railroad to get the young girls safely out of there, kinda like the underground railroad of the Confederate deep south, you know, Dixie. I absolutely know about the Cowboy Butte in Fredonia — when I was writing the story late last night I swear I wrote “between Hildale and Fredonia.” It was really late when I finished the story last night and apparently I wrote Kanab instead. Thank you, thank you for correcting me. The Cowboy Butte is a wonderful restaurant, and I am making that correction in the story right now. Once located. The new restaraunt that’s been around for a while is called Cowboy Butte & Grill! I’ve ate there multiple of times and their steaks are amazing! Look it up. Please see my reply to your other comment. Thank you for the correction. Your right real life Mr. Kool has to eat. Wooo hoooo!!!!!!! We got us one of them there subways!!!!!!!!!!!!!!!!! This is a very informative and interesting article. I’m happy to learn that the Subway is now open since I live out in the near-by area. I hope the Subway and the new hardware store have great success! Do not support them there all child molesters and the mothers should be in jail too. I love the headline to this story. What will the dress code be in this store?